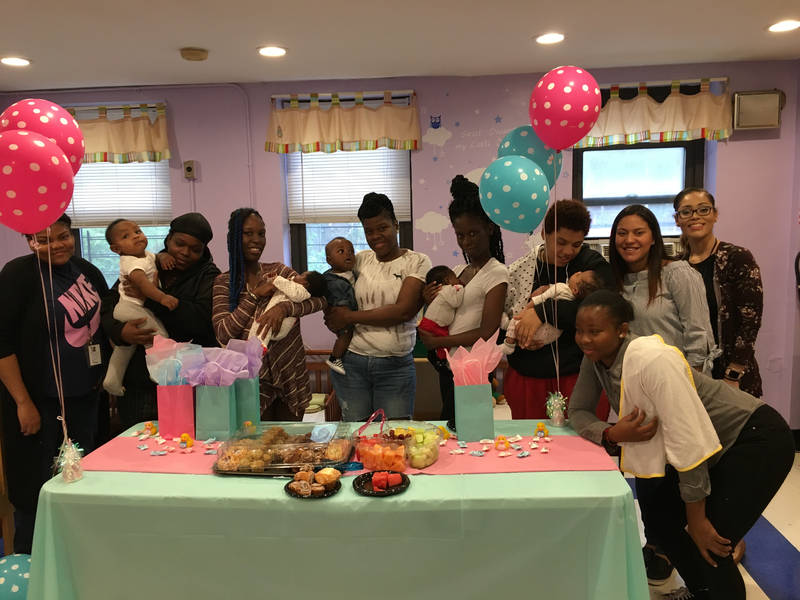 Five new mothers with children between the ages of 3 weeks and 10 months participated in the first of a four-part series of Babies and Brunch group sessions at Prospect Family Residence. 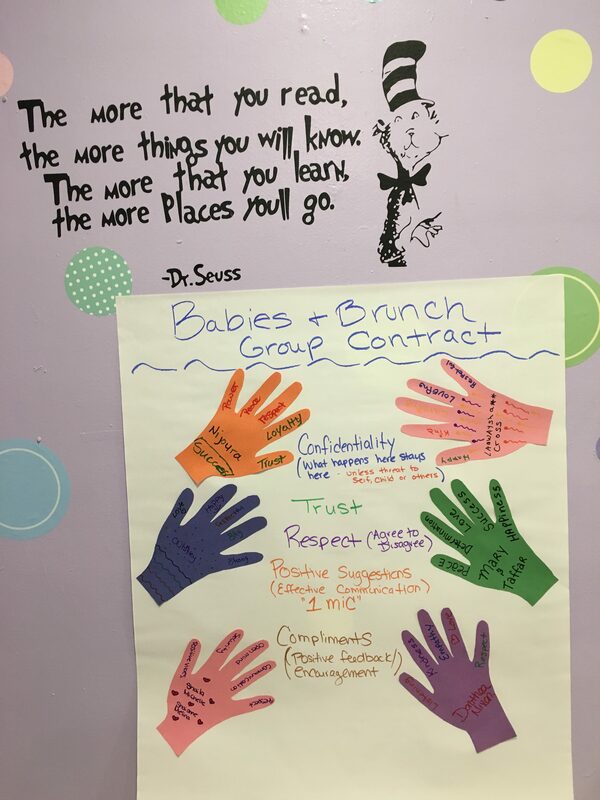 Babies and Brunch is an opportunity for mothers with infant children living at Prospect to grow, connect, play, and learn in a safe, friendly, and non-judgmental environment. 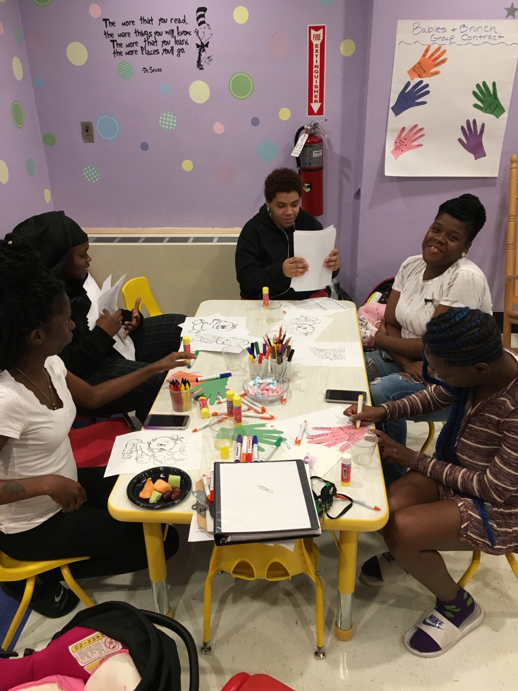 Organized and led by Dorothea Nixon, Director of Prospect Family Support Center, the series facilitates discussions where parents can share concerns, ask questions, and obtain support from one another and participating staff. In this first session, participants signed a group contract and each parent was asked about their hopes and dreams for their children’s futures. Parents engaged in active play with their children, fostering protective factors such as social connections, knowledge of child development, socio-emotional competence, concrete support, and parental resilience. The entire team at Prospect took great care in planning and facilitating this first session. 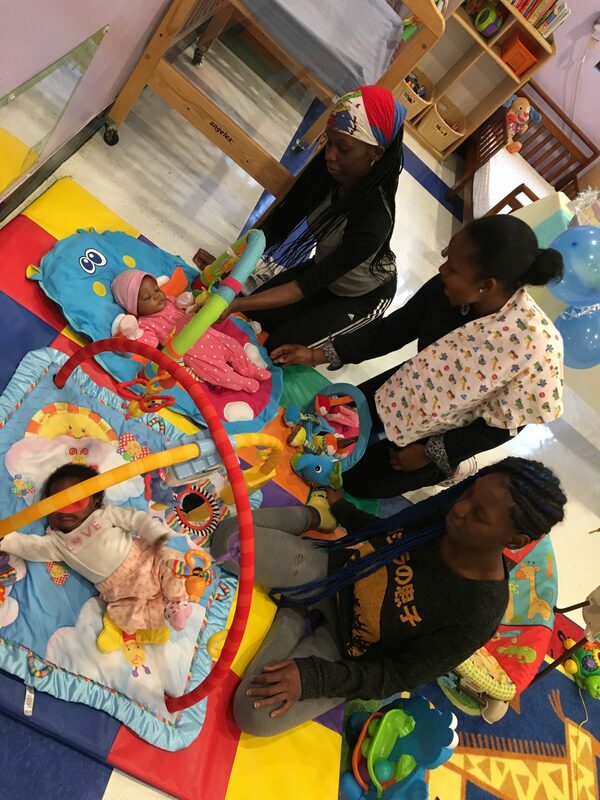 They look forward to the next three sessions of this pilot program and hope to continue these efforts to support new moms who are experiencing homelessness as they strengthen their bonds with their infant children.